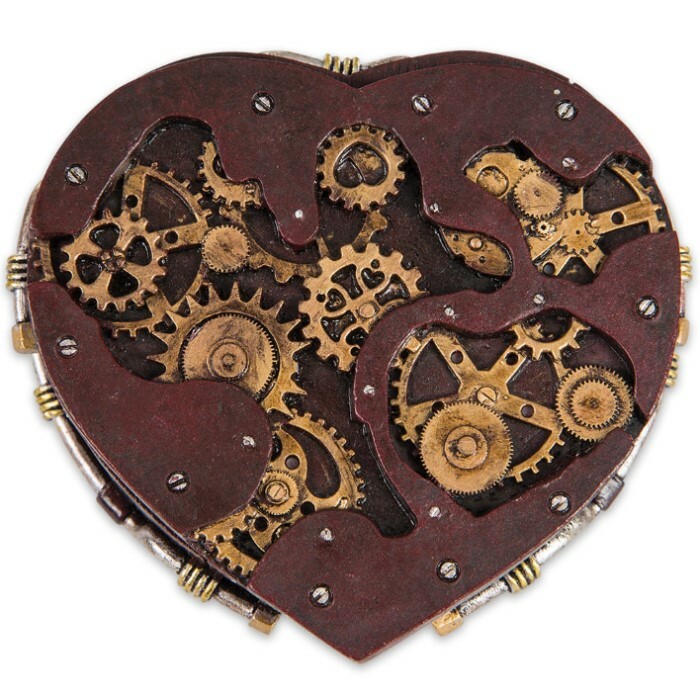 Heart-Shaped Steampunk Trinket Box | BUDK.com - Knives & Swords At The Lowest Prices! 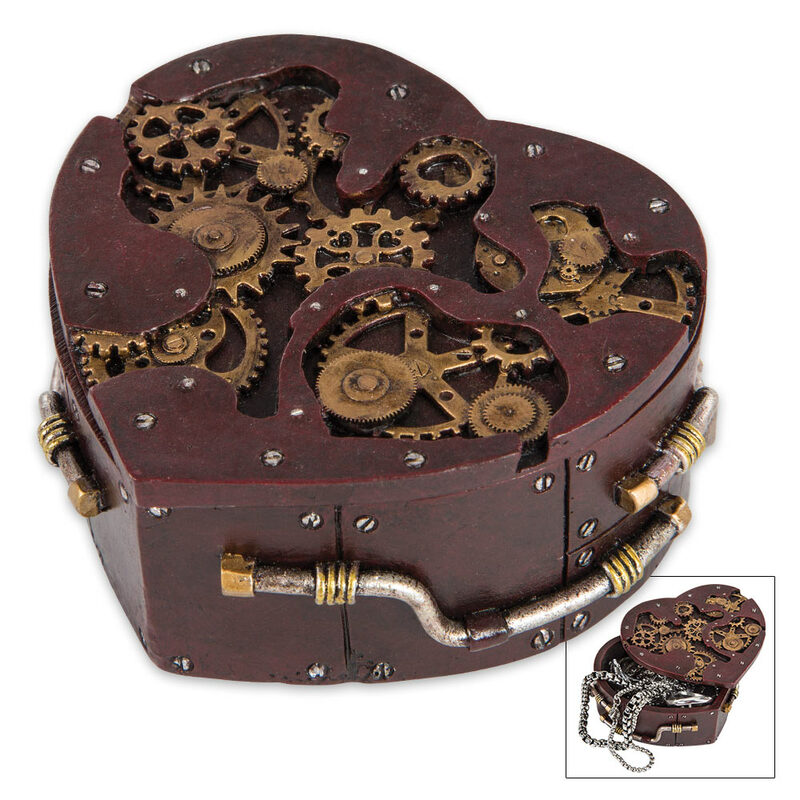 Our Heart-Shaped Steampunk Trinket Box is a must-have gift for your Steampunker sweetheart! Expertly sculpted in polyresin, this intricately detailed, decorative box looks like an actual wooden box with brass accents. 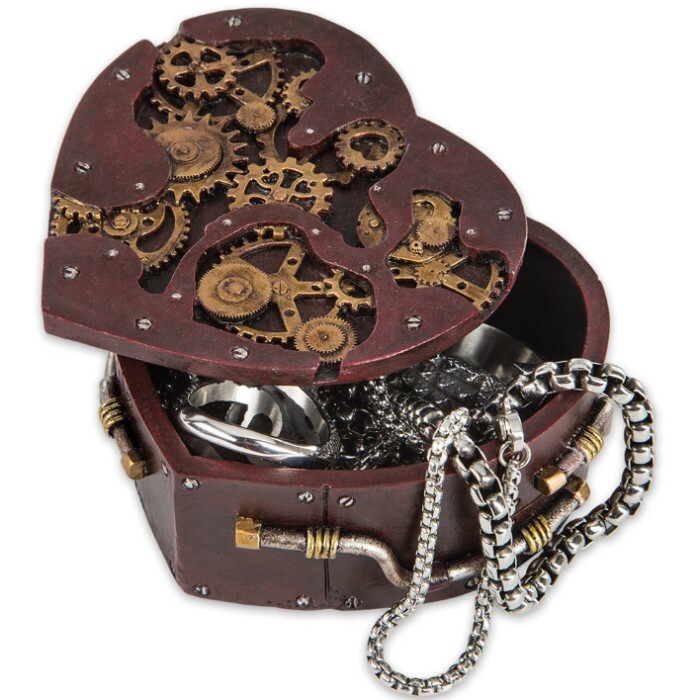 The Steampunk inspired piece features brass-looking gears integrated into its lid design and has decorative handles on each side that look like they’re made of actual silver and gold. Fine quality and original design make our home decor collection stand above all others!